Ibrahim Idris, the under fire Inspector General of Police has claimed that he is free to have romantic affairs with any policewoman of his choice, since there is no contradictory law to stop him. This challenge that emanated from Idris followed the accusations leveled against him by the lawmaker representing Bauchi Central Senatorial District, Isa Misau, who accused him of having an affair with a junior female colleague, and also gave her undeserved promotion. This was made known via a written defence presented through his lawyer, Dr. Alex Iziyon (SAN), to the Senate ad-hoc committee investigating the allegations against him by the senator. 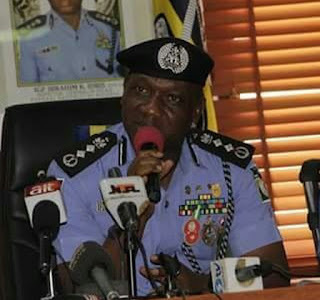 SUNDAY PUNCH got a copy of the written defence, where the allegations against the IG were listed in six categories and responded to. Idris asked the senator to cite a section of the law that prevents him from having romantic relationship with a policewoman.